Rage Version X diet pills by ANC are for extreme energy and weight loss. This energizing, mood enhancing diet pill is exactly what anyone who hits the gym has been searching for. Rage X will help you reach your fitness goals by making you go harder for longer than ever before. 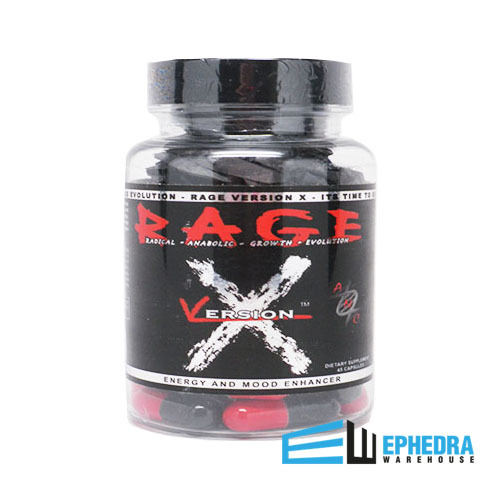 Rage Version X weight loss supplement is a powerful thermogenic fat burner that boosts your metabolism and energy. The Rage X reviews are excellent and it's been flying off the shelves. 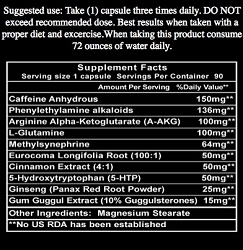 ANC is known for making powerful performance supplements, and that's exactly what they have done with Rage Version X.
I've really enjoyed the extra energy I've gotten from taking Rage. Really helping me get through my workouts.